Two of the men who made saving Freshspring possible. On the right is Oswald Burgess, who bought her with Graham Fox. On the left is John Richards, who took on the ship after Oswald passed away and transferred her to the Steamship Freshspring Society. Made possible by money raised by National Lottery players, the award is for a two year programme including works required to open the ship to the public as a heritage attraction. There will be a considerable emphasis on education from school age children to the general public. The grant includes funding to employ an Education and Project Officer. 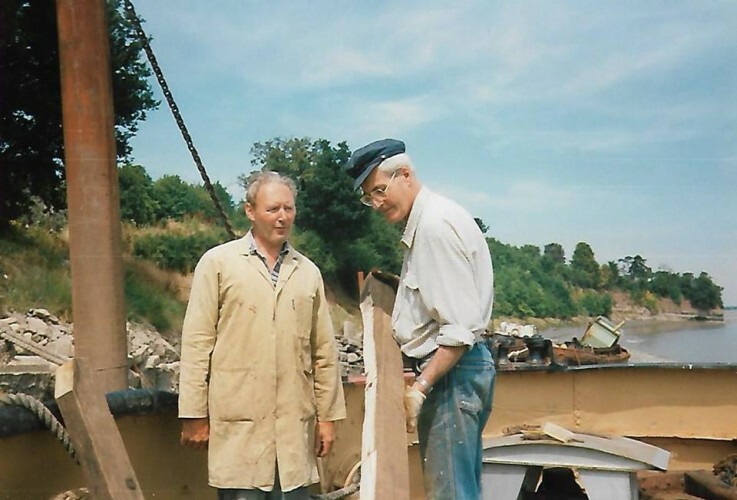 SS Freshspring is remarkably complete – her hull and superstructure are substantially intact, whilst her steam engines are in outstanding condition due to the care given to them over time. With her pre-Second World War configuration, her form reflects the type of general cargo vessel that was the work-horse of the British and the Worlds mercantile fleets from the 1920s to the 1950s. The only other vessel of similar appearance and scale in the UK is SS Robin of 1890. Furthermore, the proposals to bring Freshspring back to operational condition for a sustainable future use whilst retaining her external form and sympathetically converting her internal water tank spaces mean that she will be the only operational vessel of this type. 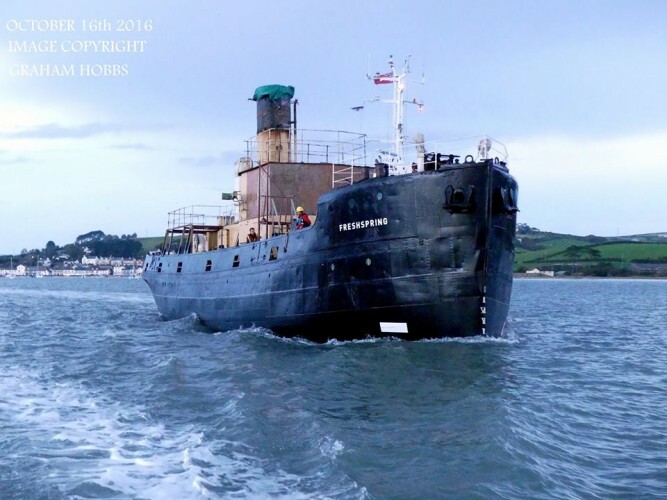 In the meantime, the proposals to present her afloat in Bideford as a static heritage exhibit mean that she will be the only vessel of her type and age accessible to the general public.